It is the most northern plot of the domaine, located next to Combronde. 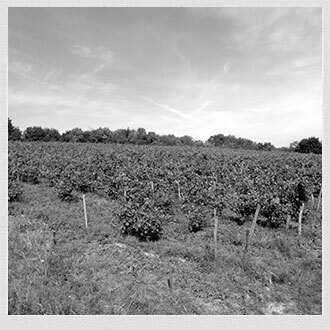 It was entirely planted with gamay 25 years ago. It has been farmed in organic agriculture since its planting. It is also the first plot I worked on when I first came to Auvergne. It is a very important one to me. The soil is made of granite rich in biotite. Another distinctive feature on this terroir, according to the owner, it would seem there is two quartz veins going through the upper layer of the plot. Facing east, it makes fresh, taut and aromatic wines. This plot makes the « Magma Rock » wine.